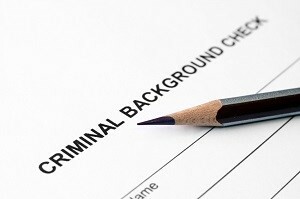 For a long time, the debate has raged on over what employers should be able to ask or not ask applicants about their history with criminal activity, when in the process such information should be unearthed, and what exactly counts; convictions? Sure. What about arrests? Well, there it starts to get a bit blurry. Despite all of this, another entity altogether that often inquires as to past criminal activity has stayed more obscured from the spotlight. That group consists of colleges and universities, or high institutions of learning. Recently, an advocacy group in New York, called the Center for Community Activities, has brokered a deal with at least three institutions in the state that will see them dropping or altering such questions on their applications. While “convictions” are more concrete, the advocacy group – and they’re not alone – worries that including arrests opens up the doors for problems. “An arrest or police stop that did not result in a conviction, or a criminal record that was sealed or expunged, should not – indeed must not – be a standard question on a college application,” agreed New York State Attorney General Eric Schneiderman. Beyond that, the group does still worry about some of the problems that even “convictions” could stir up. They note, for example, the historical imbalances in rates of conviction amongst those of different races for the same crimes under similar circumstances. It may be an unfortunate reality that a defendant of one race was able to avoid conviction or later reach a deal to have his or her record expunged, while someone else wasn’t granted the same opportunity. Susan Barr, acting president of one of the three main colleges in question, said that she had no objections to the change in policy because it was rarely used in decision making anyways. She says that, at least at Five Towns College where she works, officials understand that people often make decisions they regret while they’re young and still learning, and minor infractions with the law don’t usually play a part in whether a person will be accepted or not. Even so, there are dissenters. On the other side of the fence, some school officials caution that while minor infractions of the law may not factor into decisions, it’s not entirely far-fetched that more serious crimes would indeed be taken into consideration. For example, accepting a student with previous violent convictions might carry a higher risk to the safety of that campus community than someone without such a past. Maybe a compromise is in order where only felony convictions and perhaps within a certain time period would be considered? It is yet to be determined whether other schools will follow suit, but this could certainly help pave the way for rehabilitation for some who have avoided pursuing higher education due to their criminal records.